The men’s and women’s track and field teams competed in the Eastern College Athletic Conference Outdoor Championship May 18–19. The men’s and women’s track and field teams competed in the New York State Collegiate Track Conference May 6–7. 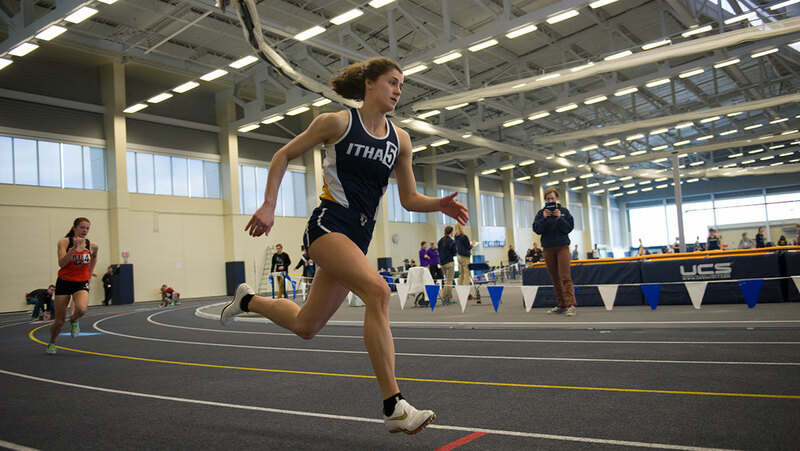 The Ithaca College track and field teams competed at the Moravian College Greyhound Invitational and the Bucknell University Bison Outdoor Classic on April 15–16. Both the men’s and women’s track and field teams had multiple high finishes at the Mulhenberg Invitational on April 1–2. The men’s and women’s track and field teams traveled to Susquehanna, Pennsylvania on March 26. The men’s and women’s track and field teams competed at the NCAA Division III Indoor Championships on March 11 and 12. Four members earned All-American status for their performances. The men’s and women’s track and field teams competed at the Eastern College Athletic Conference Championship on March 4 and 5. The women’s track and field team enters its outdoor season looking to build on the momentum it established during the indoor season, during which the women took home the Empire 8 Championship and had three individuals set four new school records. The men’s and women’s track and field squad’s competed at the New York State Collegiate Track Conference Championships and finished in second and first place, respectively.